RUPANDEHI, Nov 26: With the long-term vision of achieving sustainable development, Province 5 has lately started formulating a five-year work plan. The province will soon prepare a list of development programs to be implemented in the five-year period from 2019 to 2024. The province aims to increase its per capita income to 2,000 USD and reduce poverty to 10 percent through planned development. Chief Minister (CM) Shankar Pokharel, along with other ministers and members of the provincial planning commission, will visit various districts of the province so as to collect suggestions for the five-year plan. This process, which kicked started on November 23, will be continued till December 8. The CM-led team will be collecting suggestions from the representatives, political leaders and experts in all 12 districts of the province, according to Dr. Prakash Kumar Shrestha, vice-chairperson of the provincial planning commission. According to him, suggestions will be collected to make sure that the decisions and plans of the government are effectively implemented. 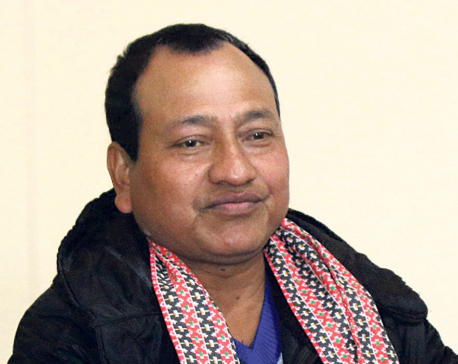 Among the five working committees to be formed, three will be headed by members of the provincial planning commission and the remaining two by the two secretaries at the Chief Minister's Office. The province government claims that the framework of the five-year plan will be formed after studying the prospects of agriculture, tourism, industry and various other sectors of the economy. With this, Province 5 has become the first province to formulate a five-year work plan. Sher Bahadur KC, press advisor to the CM, said that the upcoming provincial budget will be used for the five-year plan. The suggestions will be handed over to the National Planning Commission (NPC) by mid April. However, they will be implemented only after NPC's approval. For now, Chief Minister Pokharel will be collecting suggestions in his home district Dang. In a few days, the province's Minister for Physical Infrastructure and Development, Baijnath Chaudhary will join him in the work.